We are a Sisterhood of the Russian Orthodox Church within the Diocese of Sourozh. The nearest stations are Etchingham or Robertsbridge which both have regular service from London (Charing Chross, London Bridge, Waterloo). Travelling on A21, after passing Hurst Green take the first left turn to Bodiam and follow the road until you reach Bodiam village; pass the village and follow the road for another mile, on the right hand side you will see a yellow cottage and just behind it three big stones with "Rocks Farm" sign and an entrance to the Community. Parking is available opposite the house. We have very good news. There will be a priest at the Sisterhood of the Holy New Martyr Elizabeth at Rocks Farm, Bodiam, to serve all the Passion Week services starting with Great Thursday morning. We will try to keep you informed of fuller details and exact times as soon as we have them. Our winter patronal feast was kept on Sunday, 10 February at the Metochion of Saint Elizabeth, Rocks Farm, Bodiam. 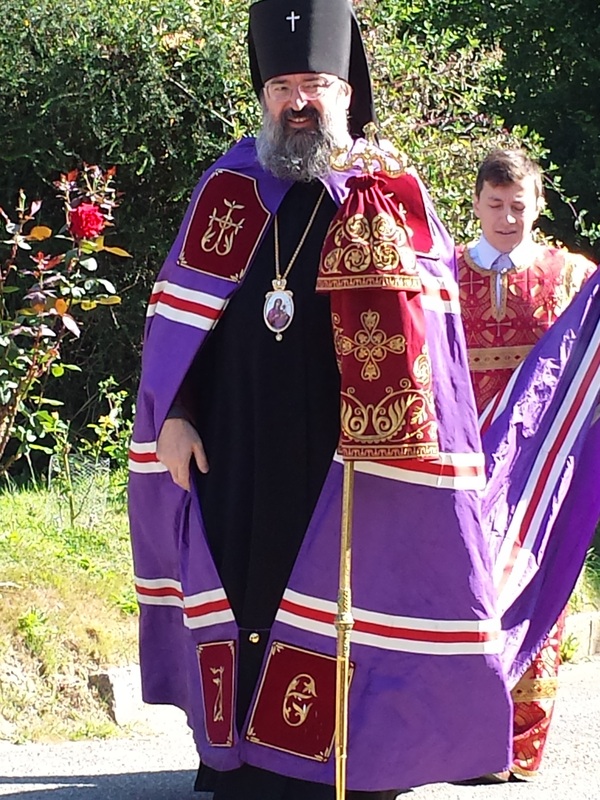 On January 13, 2019, on the 33rd Sunday after Pentecost, before the Epiphany, the day of remembrance of the righteous Joseph the Betrothed, David the King and James, the Lord's Brother, the leave of the feast of the Nativity of Christ, the Right Reverend Matthew, Bishop of Sourozh, made an archpastoral visit to the Bishop's metochion of the Holy Venerable Martyr Elisabeth in Rocks Farm, Bodiam and led the Divine Liturgy in the metochion's house church. His Grace was assisted by Priest Dimitry Nedostupenko, Secretary of the Diocese of Sourozh, and Protodeacon Vadim Santsevitch. Parishioners and pilgrims from various cities of the Great Britain prayed at the service. After the Liturgy, His Grace addressed the audience with words of preaching and spiritual edification, after which he warmly thanked nun Marfa (Persianinova), the elder sister of the metochion, for her many years of work on establisbing church and economic life in the metochion. During the meal, young parishioners, together with their parents, performed a festive Christmas play. 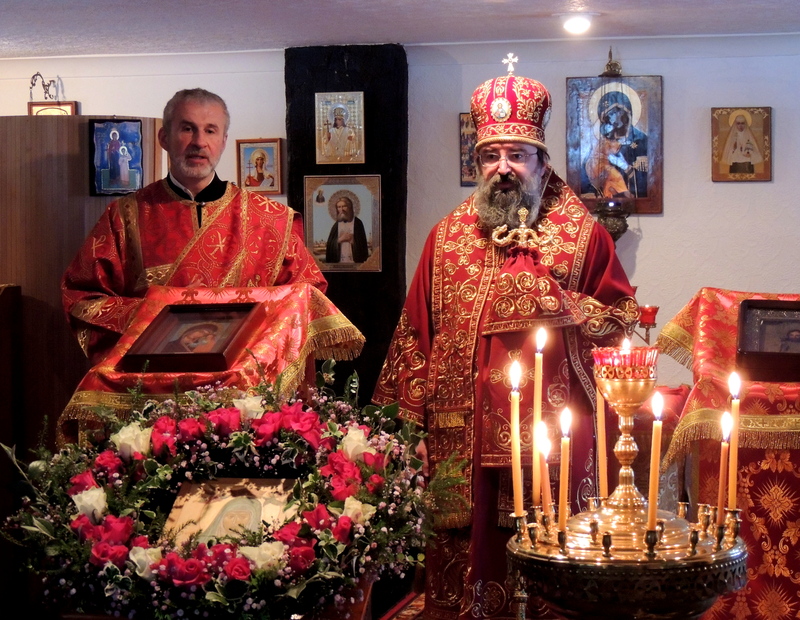 On the day of Leavetaking of the Feast of the Nativity of Christ Bishop Matthew of Sourozh will celebrate the divine liturgy at the Metochion of st. Elizabeth at Rocks Farm. The Liturgy will start at 10.00am but if you require confession, please come earlier. Please come and celebrate the last day of the Nativity with us. 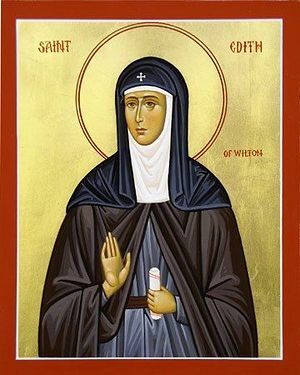 On October 24, 2018, a group of parishioners of the St Elizabeth metochion at Rocks Farm, Bodiam, together with nun Marfa (Persianinova), senior nun of of the metochion, made a pilgrimage to the spring of venerable Edith of Wilton (+984). 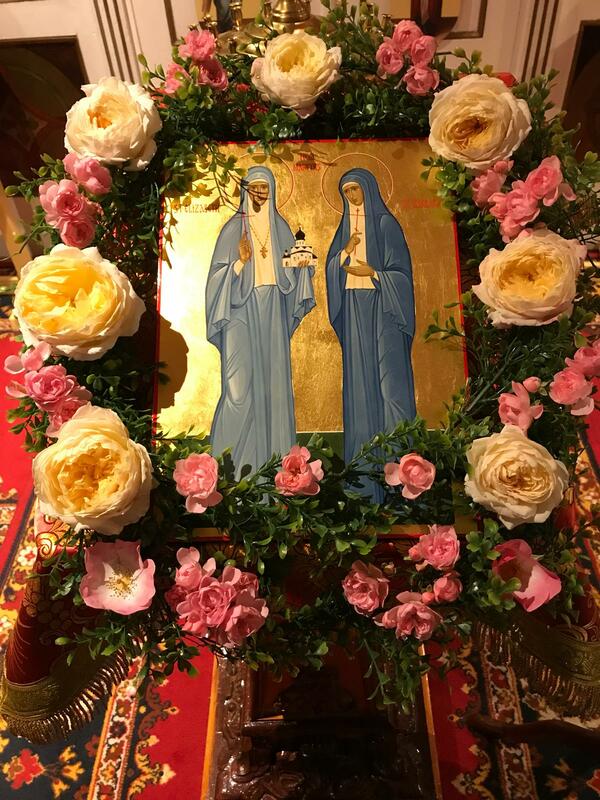 The Divine Liturgy at the Sisterhood of St Elizabeth will be served on the FIRST SUNDAY of each month; and the Divine Liturgy in Tunbridge Wells will be served on the FOURTH SATURDAY of each month. Please note that the celebration has been transferred from 28 September/11 October to 1/14 October. 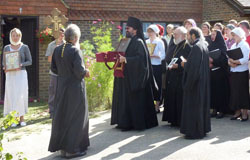 On 12 May, our community will be joining this year's Orthodox pilgrimage to Barking. 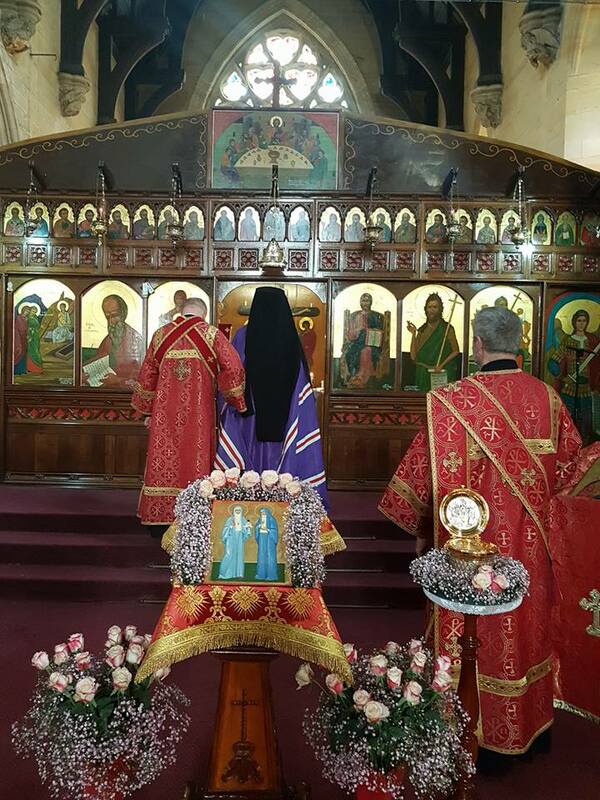 The Divine Liturgy will be served at the St Margaret of Antioch Church, The Broadway, Barking IG11 8AS, beginning at 10.30am. On 15 July, we celebrated our Patronal Feast of st. Elizabeth. 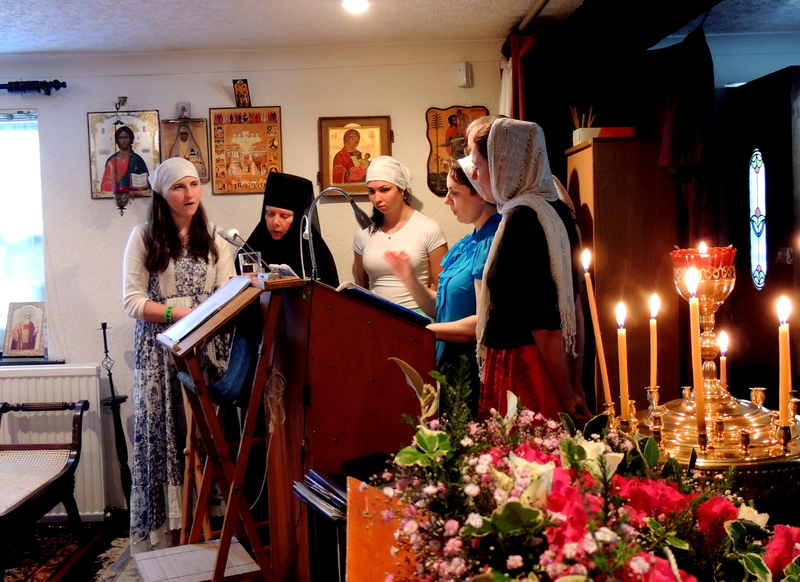 This year, due to the extensive works that currently take place at Rocks Farm, the Feast was held in the Greek Orthodox Church of St. Mary Magdalene in Hastings. Archbishop Elisey celebrated the Divine Liturgy together with Fr Stephen Platt and Fr Dobromir Dmitrov. We are very grateful to Fr Ierotheos Georgiou, the rector, for his warm welcome, and to His Eminence Archbishop Gregorios of Thyateira and Great Britain for giving his blessing for the liturgy to be celebrated. This account was written by our dear brother, choir member and St Leonards-on-Sea inhabitant Alexander Groves, who became Orthodox two years ago. He was accompanied on the pilgrimage by Silas Coker, who also sings in our choir. With the blessing of His Eminence Archbishop Elisey of Sourozh, our community will be participating in this year's Orthodox pilgrimage to Barking. This will replace the Divine Liturgy at Rocks Farm. 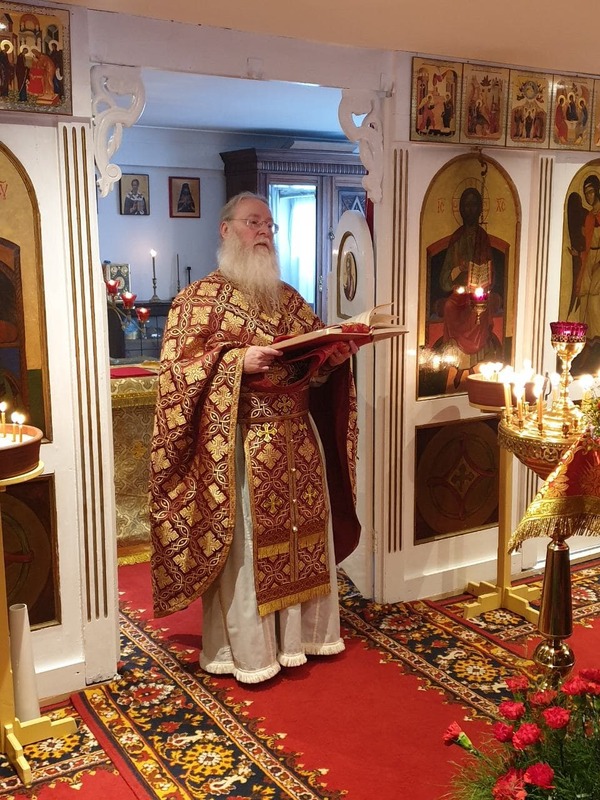 The eighth annual pilgrimage to Barking this year includes the Divine Liturgy being served in the morning with Metropolitan Silouan of the British Isles and Ireland, and a talk in the afternoon by Fr Timothy Curtis of the Parish of St Anne, Northampton. Free to attend, all welcome! Post questions in the comments section or email barkingorthodoxpilgrimage 'at' yahoo 'dot' co 'dot' uk. Our feast will be kept on Saturday (transferred from the following Sunday) 4th February at the Metochion of Saint Elizabeth, Rocks Farm, Bodiam. 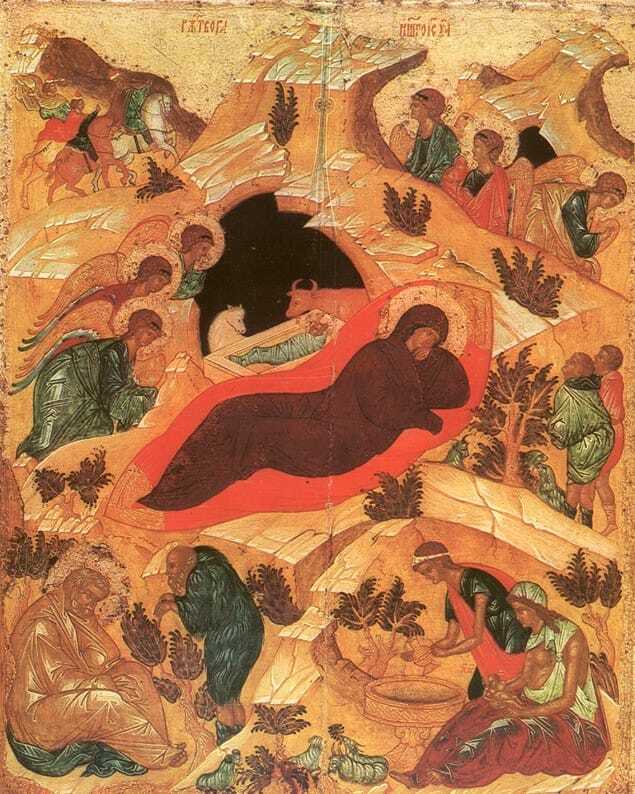 The Divine Liturgy will begin at 10 am. Confessions will be heard from about 9.30 am. 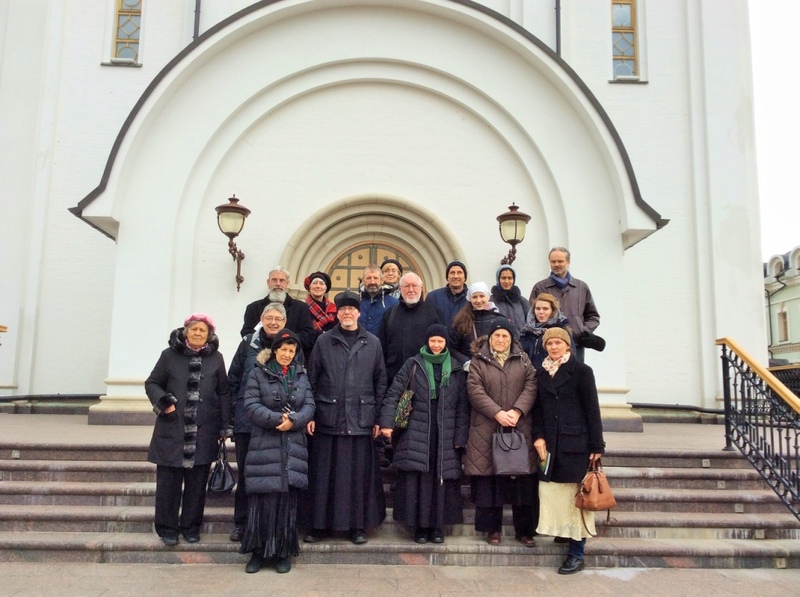 Our St Elizabeth’s Community near Bodiam undertook a very important and long awaited pilgrimage to the holy places of Moscow connected with our heavenly patrons: the Holy Martyr Grand Princess Elizabeth and the Nun Barbara, together with all the Holy New Martyrs and Confessors of Russia. This happened just before the end of the year which had been celebrated in Moscow marking the 150th birthday of Grand Princess Elizabeth Feodorovna and the 110th anniversary of the assassination of the Grand Price Sergey Alexandrovich. 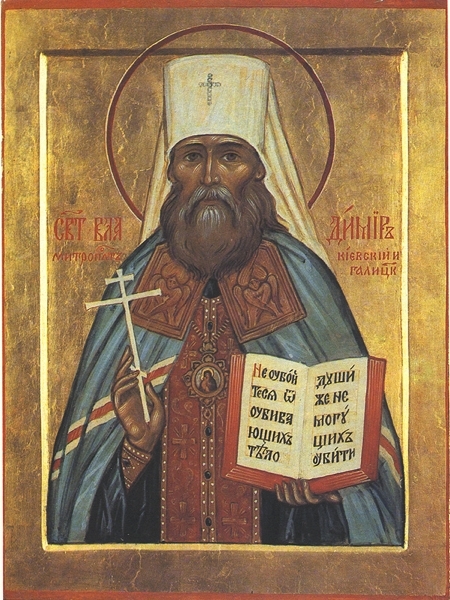 The spiritual leader of the group was Archpriest Stephen Platt. We were sixteen and our number included four non-Orthodox friends and supporters, who returned home with many deep impressions of Orthodox Moscow. Despite the apparent remoteness of the life of a Romanov Grand Duchess from the experience of English people some 100 years later, we pilgrims to the sites of her life and martyrdom in and around Moscow felt ourselves to be very close to her. I think this is because despite her aristocratic background and life of high status and privilege in a world very different from the one that we inhabit in the 21st century, Saint Elizabeth comes across as a human being very like ourselves. Because we can relate her life to ours in so natural a way, we can be inspired by the way in which she was able to turn the unpredictable circumstances of her life into heroic sanctity. The clarity of her Christian vision as to what is right and true enabled her to deal with evils that would have submerged lesser souls, so to travel around sites associated with her life is a real inspiration for the Christian of today, reminding us that great sanctity is possible for us all if we will have the faith to embrace the events of life (whether sought or not) as given to us by God. For pilgrims from Western Europe used to experiencing Christian faith apparently in decline in our society, it was also inspiring to see the Church in Russia having emerged from terrible persecution so spiritually strong. The parishes and monasteries we visited were vibrant and active, fed and nourished by the example and sacrifice of the many new martyrs such as Saint Elizabeth. We pray to the Holy Spirit for inspiration to put this into practice when back home. Ladies turning up after work to make mosaics and frescoes for their beautiful new church. The Russian Orthodox Church has such a long and strong tradition. After a gap of 70 years, ordinary people are now literally rebuilding the churches; like a natural spring temporarily blocked, its life flows again with vigour. Unexpectedly discovering at the Tretyakov Gallery beautiful paintings I knew only from books. In 2016 the Tretyakov Gallery and the National Portrait Gallery are exchanging exhibitions of paintings, Moscow sending portraits of Tolstoy, Tchaikosky, Mussorgsky etc in exchange for Shakespeare, Queen Elizabeth 1st, Darwin etc. 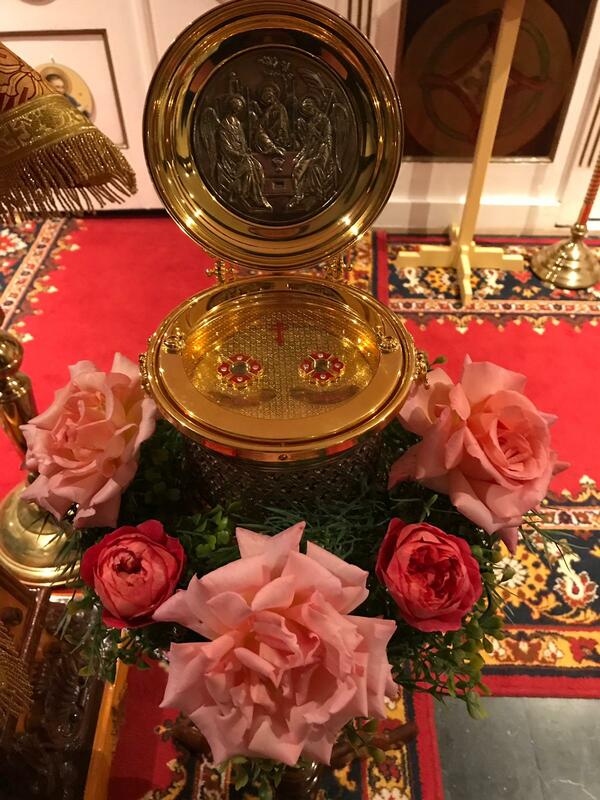 The Pilgrimage to Moscow: Holly Martyr Gran Duchess Elizabeth and New Martyrs of Russia was a very enlightening spiritual experience. I was touched by the warm welcome that our group received wherever we went. Russian people were very friendly and did their best to guide, feed and give us all the relevant information of all the fantastic places that we visited such as Sretensky and Donsky Monasteries,Martha and Mary Convent, many churches and memorable places. One place of which I have vivid memories is Novosspasky Monastery. 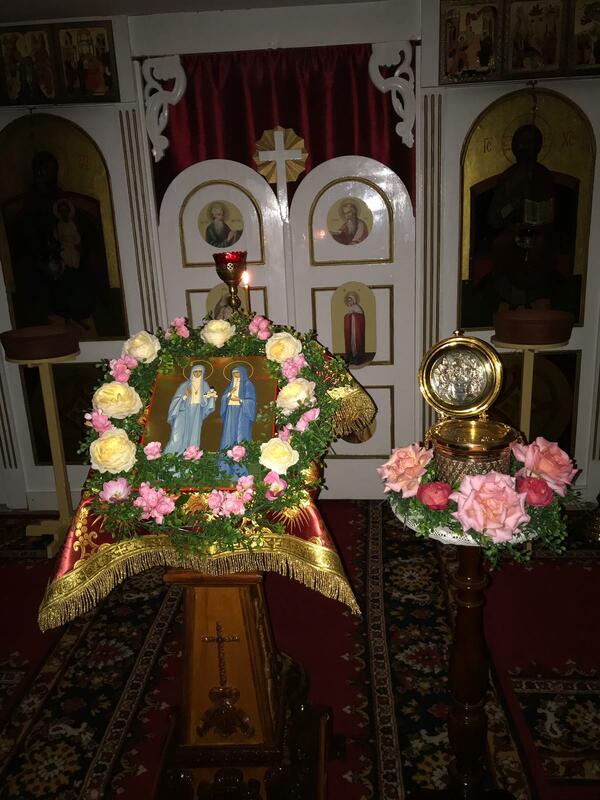 Here Father Stephen prayed for the ill in front of the Icon of Mother of God Pantanassa. I have been ill for some time and this was particularly relevant to me as I felt compelled to prayer as well. When I recover from my illness, I would very much like to visit this wonderful place again. Finally, many thanks to Maria for the thorough planning of this trip. The group on this Pilgrimage was very friendly and everybody felt at ease joining the activities planned. It was particularly impressive to see people of all ages enjoying and helping each other as if we had been friends for many years. 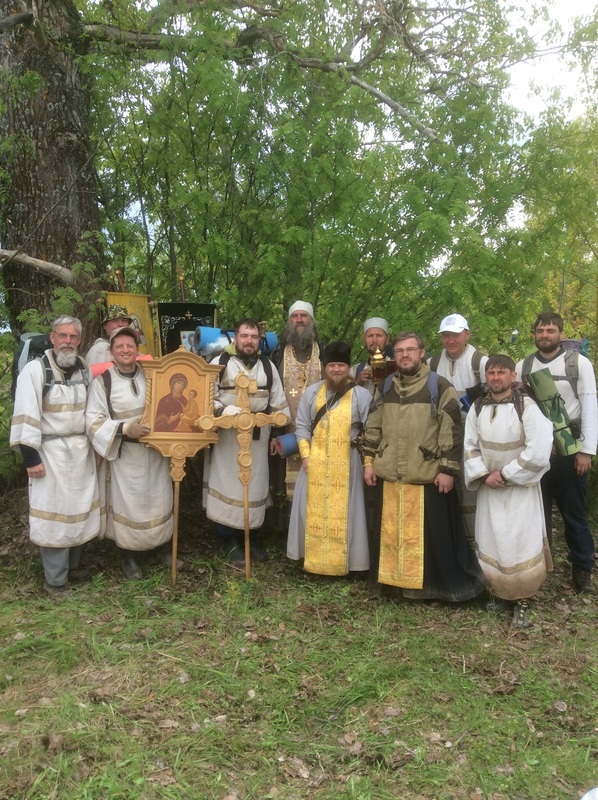 The Pilgrimage to Moscow provided a cornucopia of activities both spiritual and physical. Yes, we visited many famous sites, several churches and monasteries and museums. The Bolshoi was fabulous. Perhaps the real excitement to me was sharing our spiritual and temporal experiences with such a wonderful set of people and in turn learning more about myself as well. On a more light hearted note certain members of the party did train for the next Olympics demonstrating their ability to gate limbo , a ceremony which took place around 10.00 pm each night. Our patronal feast was celebrated very joyfully this year. 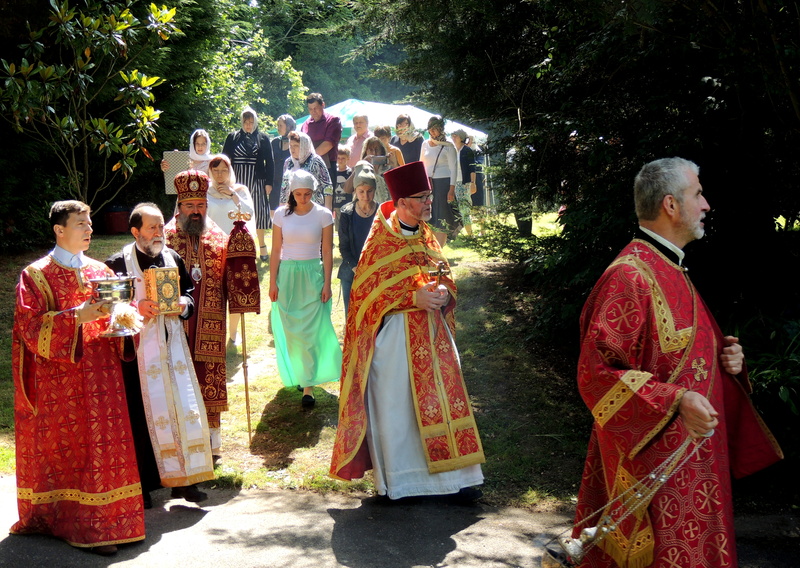 We were blessed with wonderful summer weather and also with the welcome but unexpected presence of our archbishop, Vladika Elisey who had only very recently returned from Russia. A few days earlier he had been visiting the holy places of Ekaterinburg – very close to Alapayevsk, where the Holy Martyr Elizabeth suffered death. A large number of our friends and supporters, some from as far away as Nottingham, worshipped at the Divine Liturgy on the day and many of them received Holy Communion. The service was sung by the Sisterhood's choir which seemed to achieve even greater devotion and harmony than usual. Many visitors commented on this. Our little temporary chapel, as well as the house and peaceful gardens, had been lovingly decorated and beautified for the feast. A magnificent festal meal was also prepared. After the Liturgy there was a Cross procession through the garden, after which everyone kissed the cross, greeted the archbishop and venerated the icon of our saint. 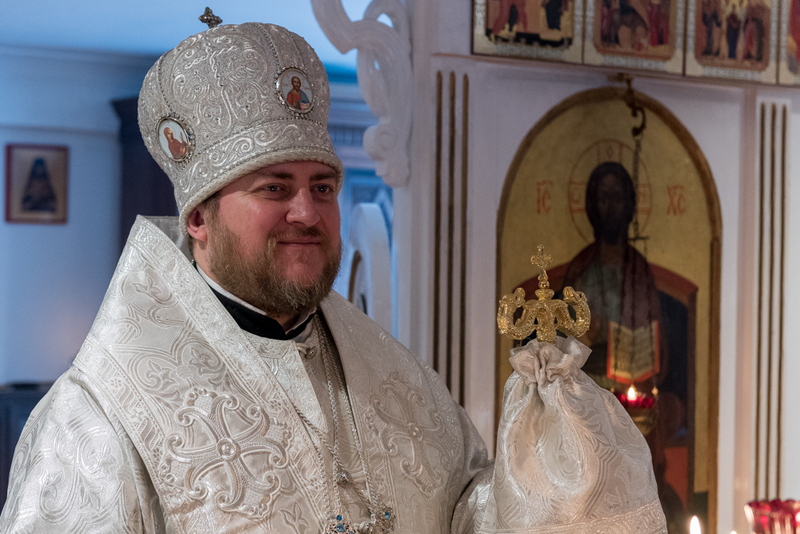 During the Liturgy Vladika Elisey spoke movingly on the meaning of the words in the Gospel of the feast – "Ye shall be hated of all men for my name's sake" and why it is said that we must put the love of God even before love of our closest ones. At the trapeza, Father Stephen talked about our community and his vision of its future, which must depend on our prayers and efforts. After the meal some of the teenagers of our community gave a beautiful and moving presentation, consisting of dramatically acted readings focused on important stages in the life of our patron, the New Martyr Elizabeth. Our archbishop warmly congratulated them afterwards. We wish particularly to thank once again all those who worked so hard, under the direction of our beloved Mother Martha, to prepare for the feast; all who came to worship with us, both Orthodox Christians and other dear friends, our revered Archbishop, our pastor the Archpriest Stephen, our close spiritual guide Father Ierotheos of the Greek Orthodox church in St Leonards-on-Sea (who helped so much in hearing many of the confessions) and Father Deacon Vadim of the London parish. We were all blessed by this great day. 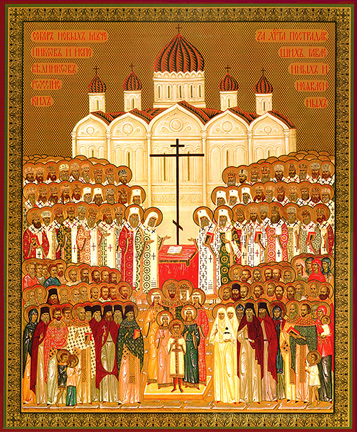 On Saturday the 7th of February, we celebrated our second patronal feast dedicated to the memory of the Holy New Martyrs of Russia. The liturgy, which was served by Father Stephen Platt, was well attended despite the very late change of date. 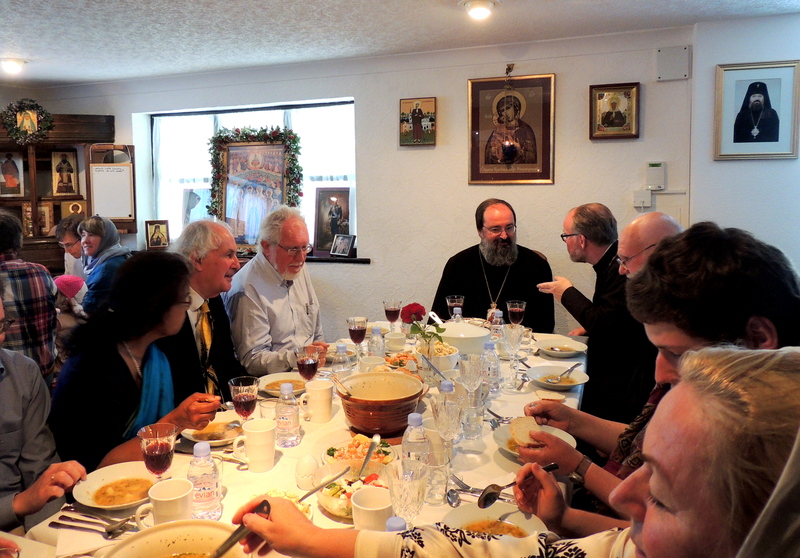 We had many guests, among them Father Ierotheos, the Rector of the Greek Orthodox church of St Mary Magdalene in Hastings, accompanied by some of his parishioners. Father Ierotheos helped with the confessions and served together with Father Stephen in the altar. This is becoming an established tradition. Many people came from faraway, from London, Tunbridge Wells, Maidstone, Rochester and Oxford, as well as from local villages and Hastings. We were glad to see our friend Father Terence, a Roman Catholic priest and a great expert on the Royal Martyrs. The atmosphere was very prayerful and the choir sang beautifully. Father Stephen spoke in his sermon about the importance of the New Martyrs for the Orthodox Church and for our personal lives, underlining the meaning of Martyrdom as being a Witness of the faith to the world. Speaking about our community he noticed that, thanks to the efforts of mother Martha and others, a lot has been done for the building of the new church and for the maintenance of the grounds but we need to spend much more time praying together for establishing a community worthy of the name of the Holy New Martyrs of Russia and Holy Martyr Grand Duchess Elizabeth. After the splendid festive meal, which was offered to all, we had a performance organized by our Sunday school, which was dedicated to the memory of the Holy New Martyr the Metropolitan Vladimir of Kiev. He was the first witness of the Faith during the time of the Revolution and was murdered by bolsheviks on the 7th of February (25th of January old style) 1918 in the Kiev Caves Monastery. The performance was based on memoirs and statements of the witnesses, which were artistically read by the members of our youth group – Ioannis, Silas, David, Elena and Misha. The readings were accompanied by the recordings of monastic singing and decorated by red candle lights and a large picture display. 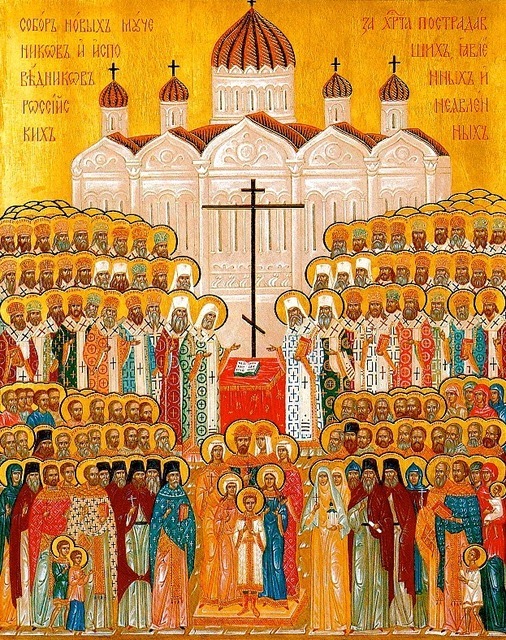 The feast was concluded by singing troparia to the Holy Martyr Vladimir of Kiev and to the New Martyrs of Russia. 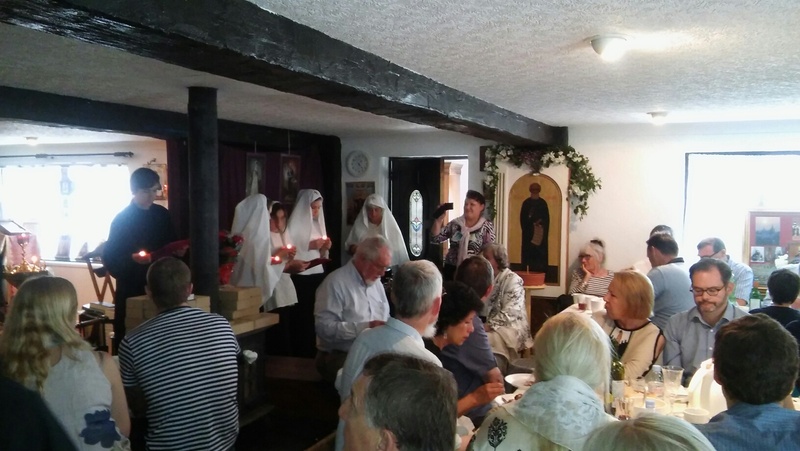 On the Feast of the Transfiguration of the Saviour a group of pilgrims lead by Mother Martha travelled to East Anglia to attend the services at the beautiful little chapel of the Mother of God "Joy of All Who Sorrow" at Mettingham (Russian Orthodox Church Abroad). They were in time for the Vigil Service on the evening of the 18th, which was served with a priest and deacon (Father Andrew Bond, whose large house is next to the chapel). The Vigil was served in full, without the customary abbreviations. On the day of the feast itself our pilgrims attended the joyful Liturgy, followed by the blessing of fruit and festal meal. 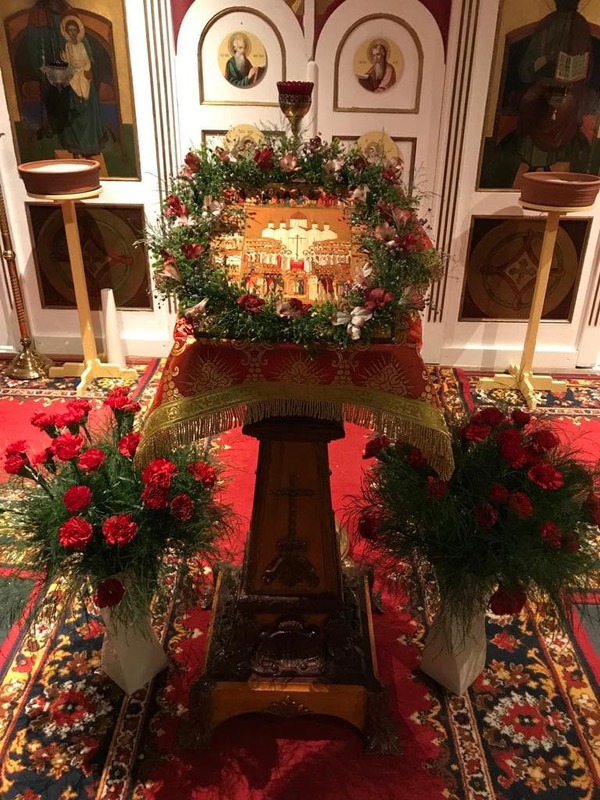 Some of the group were also able to visit local places of interest such as Walsingham, the largest shrine of the Mother of God in Britain, which actually contains no less than three Orthodox places of worship. We hope this will not be the last time that we travel to such a hallowed part of the world.